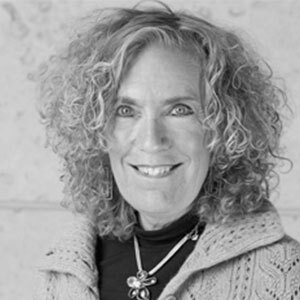 Professor Elaine Fuchs is an Investigator at the Howard Hughes Medical Institute and a Rebecca C. Lancefield Professor of Mammalian Cell Biology and Development at the Rockefeller University, in New York, USA. She grew up in a family of scientists and decided to study chemistry at the University of Illinois and continued at Princeton University to get a PhD in Biochemistry, studying bacterial sporulation. After a very successful postdoc at MIT, she moved to Chicago to start her own lab. In 2002, she went to New York, where she is currently working. Professor Fuchs’ research is focused on skin stem cells and skin diseases. She contributed enormously to the understanding of cellular and molecular mechanisms of skin development and diseases. In particular, her studies have been fundamental for the identification of the presence of a “niche” which is necessary for proper functioning of stem cells. Furthermore, Professor Fuchs pioneered the use of reverse genetics in mice models to unveil molecular mechanisms of skin development and – thanks to this application – she won the Dickson Prize in 2004. Currently, she is taking advantage of RNAi, and CRISPR-Cas technologies to study the biology of skin stem cells. Moreover, Professor Fuchs has always been interested in ethical and social issues and, in particular, in supporting the presence of women in science. For these reasons, she won the prestigious “L’Oréal-UNESCO Award for Women in Science” in 2010. During her incredible career, Professor Fuchs has published more than 200 peer-reviewed articles. She is a member of many national and international scientific and social organization and has also been awarded the United States National Medal of Science, National Science Foundation.